As someone who photographs weddings ALL the time, I am always being asked by my clients, friends and family for my advise and expertise in the planning process. I know how overwhelming it can be trying to throw together such a big, special event - no matter how extravagant or simple your vision may be…so I have taken it upon myself to come up with an in-depth guide to help and make it a little bit easier for you. I have worked with so many amazing vendors over the years, some from Port Augusta and some from out of town - so here are a few of my favourites that I can confidently recommend to give you a beautiful, seamless wedding day to cherish forever. Click the business name to be redirected to their website or facebook page! The perfect venue will make your vision of your wedding day come to life. We are so extremely lucky that here in Port Augusta we have the gulf as well as the Flinders Ranges along with so many churches and modern venues to make use of. Port Augusta’s newest sporting complex also doubles as a beautiful, modern venue for weddings and other events. It is a relatively large venue and is owned by the Port Augusta City Council. The thing I love most about the Yacht club is that you can have your ceremony and reception at the same place, with the most beautiful views overlooking the gulf. My favourite part is watching the sun set over the Flinders Ranges and being able to steal my couples away for a few last-minute sunset shots when time permits! I can’t really say if you can have your ceremony at Westies as I’ve not photographed one there before... but it scrubs up as an absolutely stunning reception venue. I can guarantee almost every Port Augusta resident has a few funny stories from attending weddings at this venue. Pichi Richi has my heart. 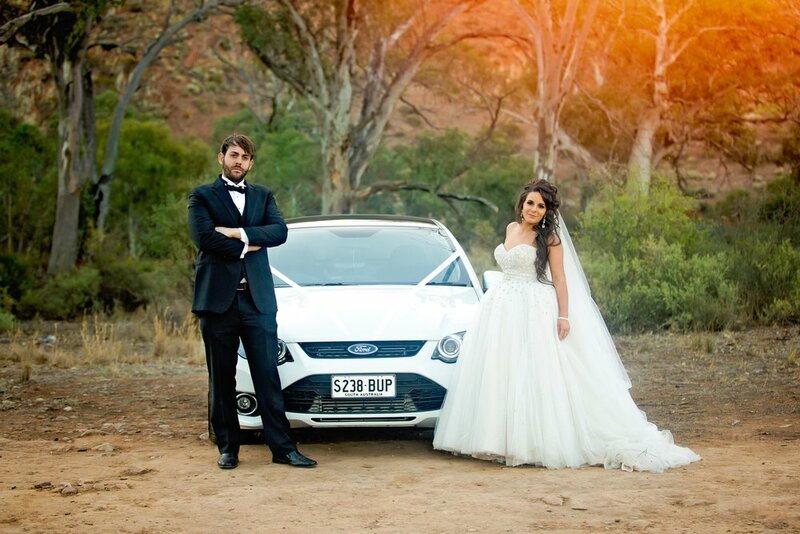 This venue is nestled in the picturesque Pichi Richi pass in the heart of the Flinders Ranges. It’s natural bush setting really shows off the natural beauty of the area and they have accommodation on-site so you have nothing to worry about! At the right time of the year, the water tower is a gorgeous little spot on the west side of Port Augusta which is perfect for smaller, low-key weddings! Want your guests to have a tummy full of delicious food? An extensive menu with multiple choices for your big day? There are so many options and I am lucky enough as a photographer to generally get to sample this amazing food at most weddings I work at - here are my favourites! ’Catering with no boundaries’ - the Epicurean Tucker Box has a wide range of elegant menus and wedding packages - they provide endless options to cater to all tastes and personalities. Kieran is very passionate and innovative in his service, providing delicious meals and a unique experience every single time. I myself eat from his mobile restaurant whenever I get a chance and I am always excited to know when he is catering an event I am working at! Best. Grazing Tables. Ever. That is all I can say - so super impressed every single time. I loved the food that Head Catering provides! Naomi offers a mobile catering and cake service across the Yorke Peninsula - her food is delicious and her experience truly is like no other. We are truly blessed with two absolutely incredible florists here in Port Augusta - I have photographed countless bouquets and decor from both of these vendors and every single time they are STUNNING and so unique. These guys have been around for over 35 years and are extremely well-known local florists who provide customised flower arrangements to suit all budget ranges and occasions. They can create and execute just about anything flawlessly and the staff are just beautiful people who truly care for their clientele. Jessie, the owner of My Friend Billy, has a very unique and modern style with her arrangements - she is a true talent with her own vision and provides an extremely personalised service for her clients. MFB uses as much native flora as possible, and Jessie is obviously super inspired by the rich and natural environment surrounding us here in the Flinders Ranges. I could be bias, but Diversity Entertainment is my number 1 choice for all your DJ & MC needs. Andrew Leske and his team are true professionals and will ensure that all of your guests are dancing and laughing all night long. Another great choice is DJ Gem - who provides a two person nanna and grandaughter team. They are a CD based DJ duo as they believe that iPod’s and computers are unreliable. Personally I love that Gem involves the kids and has a range of games for them to play and keep them occupied! If you’re wanting a professional makeup artist to help you look your absolute best, you’re in luck and will be spoiled for choice. In Port Augusta, we have so many local and non-local makeup artists who I cannot recommend highly enough. I have worked with or photographed the work of all of these talented ladies’ work and I’m always blown away. Tash is a local self-taught makeup artist who has a natural ability to give women of all ages confidence and a glamorous glow that photographs beautifully. She is a vibrant and funny girl with a true talent and passion for what she does. I cannot recommend Aleesha enough. I have worked with her and had my makeup done by her on multiple occasions and her ability to create a flawless base and work with both creative, glam and simple looks blows me away every time. She is based in Whyalla at her professional studio but does travel to Port Augusta (and beyond) for weddings. Sam is very well-known as an established and extremely talented makeup artist from the Port Pirie region. Sam loves to get creative and personally my favourite wedding looks she does are always the rose gold and metallic ones as she has mastered the art of creating a subtle glam look (but she’s also wonderful with regular bridal makeup too!). Sam travels but get in quick - she books out super fast! Xena is another talented local self-taught makeup artist who I have recently worked with. I was super impressed with her ability to make my clients feel comfortable and her knowledge of luxury makeup brands. She is an eager, young business-woman who I think is going to go extremely far in the makeup world! Shonna is a qualified makeup artist from Port Pirie who has a heart of gold and a serious amount of talent. I can guarantee she will not leave you disappointed - and she also does hair! Shonna likes to create a personal connection with her clients so she can give them makeup that suits them and their vision. I have never had the pleasure of working alongside Rhiannon, however I have photographed brides who have had their makeup done by her and I have also known her since I was a child - she is a beautiful person who creates a range of versatile looks for her clients. Rhiannon is from Quorn but of course, travels to Port Augusta for makeup looks. Taylor is an absolute gem of a human being. She is a self-taught makeup artist from the Port Pirie region - but she does travel. I have worked with Taylor, had my makeup done by her and sent my clients to her on countless occasions. She will absolutely positively make you look effortlessly flawless - I can’t praise her enough. A few special mentions also go to Christie Muir, Emily Nistico and Kismet’s who are also local makeup artists - as far as I am aware I’ve not photographed their work, but it does look marvellous on social media! Having a celebrant who you are comfortable with is essential for a smooth-running marriage ceremony. In Port Augusta I have worked with these 2 legal celebrants on multiple occasions and they have always been pleasant, funny and super organised. There is also of course, the option to be married by your priest if you are being married in a church - and I can highly recommend just about any church here in Port Augusta to help with that if you’re looking for a more ‘traditional’ ceremony. Alan is an extremely professional, warm and friendly marriage celebrant from Port Augusta. 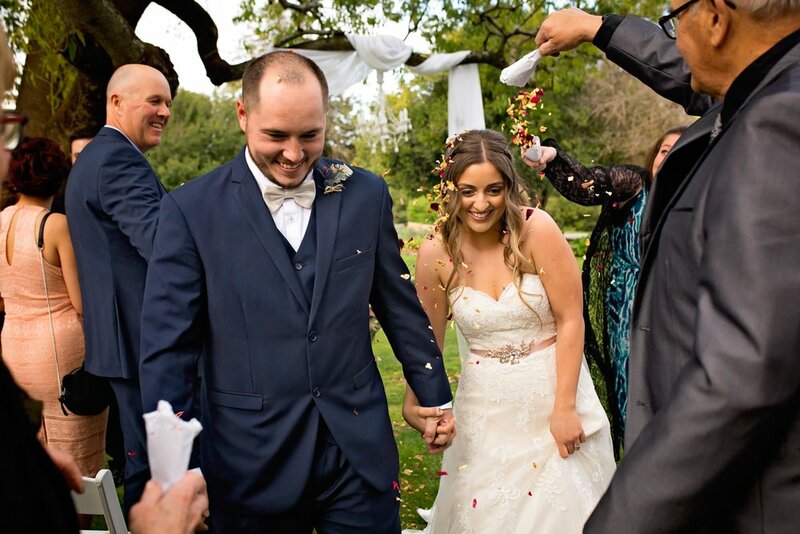 He is approachable, kind and will absolutely make you laugh and make sure things run smoothly throughout your ceremony. Robert is another fantastic local marriage celebrant who offers a super high standard of service and has a plethora of information to design and choose the marriage ceremony that suits you. He is an absolute sweetheart and will guide and help you to have a ceremony you’ll always remember. Port Augusta is positively blessed with two of the greatest cake makers I’ve ever come across! Both of these talented ladies create customised and personal cakes for all occasions - you will not regret having either of them make and decorate the perfect cake for you. Ashley Kingham is very well-known in town for her creative (as the name suggests) cakes and she is an absolute whiz with fondant and creating cool figurines/characters, always being a little bit outside of the box. I have photographed her cakes before and they’re always unique and fun - she is a true talent that Port Augusta is lucky to have! Leah is a godsend. She is a qualified chef/baker and her cakes not only always look amazing, but they TASTE amazing. I use Leah for all of my cake smash sessions and have photographed countless wedding cakes of hers and they always have a personal twist. Make sure you try the red velvet, white chocolate and raspberry and my personal favourite - vanilla caramel! Dinah is a stay-at-home-mum who creates handmade invitations and cards for any occasion. She will most certainly work with you to create something perfect for you. Lisa stocks a wide range of invitations and gifts - I highly recommend browsing her facebook page as she offers such a variety of things! Decorating a wedding can be one of the most overwhelming tasks there is - making sure everything goes together, that the vibe of your wedding is communicated to your guests and essentially having all necessary items to bring the day together can be a complete mess without the right people. Here are a few companies who I can absolutely say will help you with everything you need! These guys are based in whyalla and have (and can get) just about anything you could want to hire for your big day. From chairs and tables to arbours, table decor, balloons and so much more, you could spend hours browsing their store and chatting with the owners. Yvonne Barker is a Port Augusta based event planner & coordinator and she will give you the luxury wedding OF YOUR DREAMS. Yvonne has some truly beautiful things to hire and puts together a venue perfectly - I cannot speak highly enough of this lovely lady! Michelle and the team at Flower girls offer wedding and special event floral design, styling and hiring. They have a wide range of options from hire & delivery so that you can DIY, all the way through to setting it all up for you. They can do your bouquets, buttonholes, centrepieces, hanging features, flower crowns, garlands, arbours & so much more. Sue offers a huge variety of decorating items - from chair covers, centrepieces, table skirtings, ceiling tulle, fairy lights, bridal backdrops and more. She is a super sweet woman who is very passionate about making sure you have a spectacular wedding with gorgeous decor. Why, me of course! Haha, I’d be silly to recommend anyone other than myself - but I am going to anyway. We have some true talent here in Port Augusta, Port Pirie, Whyalla and beyond. Having a good photographer who knows what they’re doing and can confidently document the most special day of your lives is so super important…and everyone has different styles that they love - so I’ve listed a few below who I can confidently recommend in terms of quality of work and value for money! Professional photographer with big dreams and a thirst for adventure. I love dogs, good food & smiling real big. I’m a photographer because it’s an easy way to hang out with cute kids and dogs all day long and get paid to snap a few pictures…right? Ha! Juuuuuust kidding - but seriously, photography as a full-time career is something I cannot and never will be taking for granted. I am so beyond grateful that I’ve been able to create a career from my art and vision - with a lot of hard work and responsibility involved of course. One thing I know for sure, is that I’m one of lucky ones who get to make a living from doing what they love - so I decided to tell you guys why I love it so damn much and live, eat and breathe my job. Living in the present. Being a photographer has taught me many things - but the most important thing is living in the present. I have to constantly be aware of everything around me if I want to capture it in a picture, focusing on the NOW. When I have a camera in my hand, I’m not thinking about this week’s episode of The Good Place or what I’m going to have for dinner - I’m experiencing a moment that will never come back and capturing it exactly how I remember it. Coming together with like-minded people. From the day I created Magic Memories by Erika, I made it my mission to connect with other small businesses in my area (and beyond) as well as other photographers. From this, I have made some of my closest friends - people I talk to and see on a daily basis. These people are so important to me and I would’ve never met them if I didn’t begin my little journey all those years ago. A photo can tell a story without having to say a single word. In a photo, there are no barriers. I have found this to be so special throughout my travels, specifically in Thailand - a place which is very close to my heart. I have taken photos of locals over there, and captured some extremely unique and special moments, along with meeting other people who share my passion. We don’t have to say anything, or understand a word that comes out of each other’s mouth’s - because a photo will explain everything. Capturing a feeling and connecting with my clients. I like to believe that my photographs show more than just how or what something looked like. I love that I am able to communicate how something felt - photography allows me to connect with a moment in a completely unique way. With a camera in hand, I feel that I can really get to know my clients in a short amount of time - because as I mentioned earlier, I’m living in the moment and focusing on one thing - my subject…for at least 30 minutes! It’s very cool to walk away from a session knowing you’ll always remember the little funny, special and meaningful details that your clients displayed when they were comfortable enough to open up whilst being photographed by you. Human beings have an incredible range of love and emotions and I just adore being there to capture them every step of the way. Nothing lasts forever - except when it does in images! Photos will be around forever. We still see photos today from 100 years ago, even more than that. The first photo ever taken was in the 1800’s, and we can STILL see that. So to me, photography is the most wonderful way to make your favourite times, people and things stick around forever. Life is filled with big moments and extremely special people (and pets!) that should be documented so you can have them forever, no matter what happens! I find it fascinating that we can encapsulate memories that way! Being a BOSS LADY. Plain and simple - I love being my own boss. It’s a challenge almost every single day, and it’s more work than a single human probably should be undertaking - but I wouldn’t have it any other way. Having the ability to be exactly who I am and express myself the way I want to, along with being able to connect with people and travel all over the world. It rocks. Being a business owner isn’t for the faint-hearted, and that’s why I love it. I am extremely proud of myself for coming this far and am so excited to continue kicking goals and showing y’all that anything is possible if you work really hard for it! So there you have it folks - my top 6 reasons why I LOVE MY JOB. I couldn’t do it without the support of my friends, family and clients - so thank you!! Let me know in the comments what YOU do and why you love it - I’d love to get to know my followers a little more!! Engagement sessions are always a tonne of fun, and when Courtney sent me a message to book hers in, I was a little more excited than usual - she has been a friend for quite a while and I know her well enough to predict that this would be no ordinary session. I hadn’t met James but I’d seen the occasional post on facebook and knew these two were an incredible match. They are a totally sweet couple and we laughed and joked the entire time I was shooting…and even when I wasn’t - a photographer’s dream! Courtney & James have been together since New Years Eve 2015/2016 and the story of their engagement on their 2 year anniversary totally melted my heart. James proposed on the beach at night, with a light-up ring box. Everywhere around the two of them was pitch black except the stars and Courtney actually thought he was looking for crabs under the rocks until she realised what was happening. Our session was chosen by Courtney, at the Himeji Gardens - and let me tell you, I couldn’t ask for a better spot! There was a lake flowing in from a small waterfall and a gorgeous selection of trees which framed the scene perfectly. It was very peaceful and I must admit I chuckled to myself thinking about the whirlwind of energy that was about to burst into this tranquil little garden. I love everything about this session - the lighting, the scenery, the couple and the backstory. Enjoy some of my favourites from Courtney & James’ engagement shoot and leave some love! I can’t wait to capture all the magic at their wedding later on this year! 21st birthdays: the centre of any twenty-something year old's social life. Always filled with laughter, insane dance moves, tasty cake and memories - there's definitely something special and unique about capturing that. Marissa Kurbatfinski is a long-term friend and client of mine who has always shown courage, grace, humour and just the right amount of crazy. When she invited me to attend and photograph her 21st I thought instantly that it would be perfect in the most understated way, and when I arrived at the Cathedral Hotel in North Adelaide I knew I was correct. Marissa's family & friends went out of their way to give her a night to remember. A special mention to Josh, who delivered a hilarious yet heartwarming speech reciting his top five 'Marissa Moments' (aka, blonde moments), to Fitzy - Marissa's soon-to-be housemate who told us all a a quick story about how Marissa has a bit of a thing for locks and to Kiara, who spent her evening running around with a polaroid camera, making sure Marissa had a photo of every single attendee. When Marissa's dad gave his speech, I could see both parents beaming with pride - and I completely understand why. Marissa truly has grown up to be such a wonderful, determined, talented, creative and utterly unique woman whom any parent would be proud of! I couldn't finish off my blog post without mentioning Marissa's dress - a work of art in itself! The Beloze Maxi Dress by Aje, a part of the Aweleye Resort 2017/18 Collection...an international limited edition dress with only 2-4 pieces made in each size. This dress was a collaboration piece between Aje and Pwerle Aboriginal Art Gallery - the artist of the print on the dress being Minnie Pwerle. I had the most amazing night capturing all the fun and I am so excited to get a head start on the full gallery - Happy Birthday Marissa! "It takes courage to grow up and become exactly who you are." Some very wise words from E.E Cummings, and extremely appropriate in the case of Marissa. 2017: The year of big dreams. When I look back at 2017, I have so many thoughts, feelings and memories that would take me years to write about. On January 1st I made a promise to myself to work hard and push my boundaries. I set goals and I knew exactly what I wanted to do and achieve, however I didn't take into consideration that these goals would be accompanied by some of the best and most memorable days of my life. I had no idea that my business would bring me so much fulfilment and make me smile every single day - that my clients would turn into my friends and that I would be connected with so many talented and wonderful people within my own industry and beyond. I managed to leave my part-time job and be self-employed full time for the first time ever. I travelled...ALOT. I learnt from some of the best all around Australia. I finally got my studio up & running and now have my own space to work in. I photographed some of my favourite bands. I became published for the first time. 2017 was the year that everything came together - and I am so excited to share some of my favourite moments with you. So without further adieu....I give you, 2017: The year of big dreams. I started the year off doing 2 of my favourite things: taking pictures and hanging out with a puppy. I met Rueben, a charming, goofy Golden Retriever pup and his loving parents Holly & Nathan on January 2nd at a reserve in Adelaide. This was no ordinary photoshoot. Rueben not only posed up a storm for me by himself and with his parents, but he decided he wanted to play. I have never seen such an adorable bundle of energy in my life. He explored the area and so desperately wanted to bellyflop into the river, but he was on his best behaviour - even making friends with a sweet older Labrador. Since then I've kept myself updated on Rueben's growth, and he is a BIG boy now - I can't wait to see him again. Once all the craziness from the New Years break was over, I started working each weekend with Diversity Entertainment at clubs across South Australia. From Port Augusta's WAVES on a Friday night, to Wallaroo's CC's Nightclub on a Saturday with the occasional night at The Eyre in Whyalla or Club Clippers in Port Pirie...no matter what, it was always a crazy night with the Diversity team. Not long after this I also started working with Scenestr. magazine, which gave me the opportunity to photograph some incredible names in the music industry. From Green Day to Little Mix to Hawthorne Heights, I almost never missed a show. Every single time I found my heart pounding and the nerves were so real I felt that I could almost pass out...but almost every single time I learnt something new about lighting, composition and movement and captured some pretty special moments. March was the month that I caught the travel bug: big time. I packed my bags, said goodbye to my family and jetset off to Chiang Mai in Northern Thailand for a month. I can't even begin to tell you how much I loved that city with my whole heart - it set my soul on fire. It's not your typical holiday experience along the beach, island hopping and relaxing...Chiang Mai is raw, real and full of life and adventure. I spent most of my time exploring the streets with my camera, capturing the city as authentically as I possibly could. All the little details - from the flower markets, to the street food (and the wonderful people serving it! ), to the sweet cats and dogs that roam the streets seemingly waiting for somebody, ANYBODY to take their photo and feed them some chicken...I was home. I volunteered for a week at Elephant Nature Park, taking part in their dog project. It was pretty gruelling work, and they were long days...but the animals made everything worth it. Everywhere you looked they were there. Elephants, buffalo, dogs & cats. I tried with all my might to bring one pup, North, home with me - however our laws here in Australia meant that it was just too long in quarantine for her. Fortunately she has since been adopted and heads off to the Netherlands very soon to her new home - but not before I go back this January to volunteer again! Once I got home from Thailand, I was blessed enough to work with so many new people, whether it be for Mothers Day Mini's, cake smash sessions, newborns, weddings, pets and anything in between...however one of the absolute highlights of my year was photographing a birthday party for Manraj (5) and Abhiraj (1) in June. This was no ordinary birthday party...as soon as I entered the room my jaw almost dropped to the floor. I could not believe my eyes. There were so many beautiful outfits, decorations, even Mickey & Minnie Mouse came to celebrate. I smiled and laughed ear to ear all night long, as I captured everyone dancing, singing and celebrating the two boys' birthdays. One of my favourite cake smashes of the year was with Jai, who was born into a family of Star Wars nuts. His beautiful mother Sally had been talking with me about it for months prior and when it all came together on the day, I couldn't have been prouder of what we'd come up with. Jai was playful, inquisitive and had the bluest eyes I've ever seen in my lifetime. September truly inspired me to work more with landscape photography. The travel bug had bitten me again and I flew off to Europe to visit Switzerland and Italy. Despite the many hiccups along the way, I loved it and felt so alive once more - specifically in Grindelwald, Switzerland where I hiked in the Swiss Alps, spent the night in a 180 year old hotel with zero electricity and no water and made two new friends, Bella (Australia) & Jan (Russia). It was a photographer's paradise - snow capped mountains, beautiful still lakes and beautiful blue skies. Grindelwald was beyond my wildest dreams, honestly. Getting straight back into work once I touched back down in Australia, I announced my first 'come & try' day for pets. One of the most common things I hear as a pet photographer is "oh, I'd love to have photos taken of my pet but you won't be able to get them to behave! "....CHALLENGE ACCEPTED. I decided to hold a fee-free day with no obligation, to show people that even with a cheeky or excitable dog, I can still work with them and get great photos. I did not have a single issue, and as the self-proclaimed dog-whisper I am, I smiled and laughed all day despite the fact my hands were almost black from dog chocolates by the end of it all. One of the craziest but best sessions from the day was with a family of 4...but not your usual family! 4 beautiful Golden Retrievers, Hunnie & Cooper with their beautiful kids. From the second they walked into my studio it was complete chaos - a perfect example of why I need 'come & try' days...but boy were they adorable! Weddings in 2017 were truly incredible. I was blown away by the sheer amount of effort put into all of them. I can't pick a favourite, because every single wedding day I captured was magic. I can't even go into detail, because each wedding is jam-packed with so much love and care, but I am so very lucky to document these special days for so many adoring couples. This year has been filled to the brim with collaborations, from dance teams to musicians to makeup artists...but I have to admit, I always have the most amazing results with the amazing team at The Cutting Concept. Victoria is forever coming up with crazy ideas for us to work with, and they ALWAYS work. Every single time. We've worked together to create absolute magic so many times I've lost count. If you need your hair done, Vic is your gal. I don't think there's much more I can say about this creative, talented girl-boss, other than THANK YOU. If I had to sum up 2017 in one word….I couldn’t. Amazing. Inspiring. Magic. Creative. Versatile. Shocking….I could go on (but I won’t, I promise!). This year has showed me I can achieve anything, anywhere. It has given me countless opportunities and experiences. It has shown me that getting older each year is completely fascinating and fulfilling, and that the world has some incredible and surprising things right around the corner when you least expect it. So to everyone who has supported and encouraged me, to everyone who has hired me, or told their friends about my work…thank you from the bottom of my heart. It is because of you that I can continue to achieve and thrive doing what I love. I have no words to tell you how much that is appreciated. “Think Big And Don’t Listen To People Who Tell You It Can’t Be Done. Life’s Too Short To Think Small.” - Tim Ferris. When a baby is born, everything changes. A new little person is introduced into a family and they will develop their own unique, completely original character. When I met this little man for the first time in the hospital, wrapped in his warm blanket covered in elephants, I realised then & there the value of capturing these first special moments exactly how they are. Baby Arlo, formerly and affectionately known as 'Bump' had the tiniest little fingernails and toes I have ever seen. His gorgeous head of dark hair, his enormous yawns, his inquisitive nature and the way he so eagerly snuggled into his Mum's arms made my heart melt. His gorgeous parents Florence & James had waited so patiently for their little man to arrive and I could feel so much love, warmth and care as soon as I entered the room. I am always truly in awe when I meet a new little person and think about the fact that we all start out that small. So innocent, fragile and curious with so much in store for us in the future - and at this point, we have no idea about any of that. I can't wait to see what the future holds for you, Arlo!